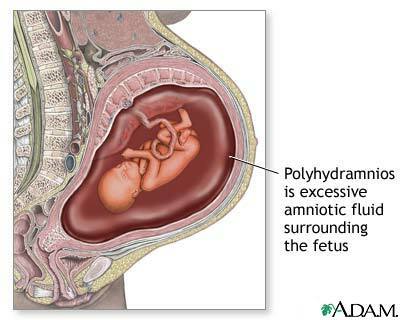 Polyhydramnios (polyhydramnion) is the condition of an abnormal amount or over-abundance of amniotic fluid. This is a potentially dangerous condition and occurs in about 1 – 2 % of all pregnancies. Over the last decade, progress has been made towards defining polyhydramnios as well as possible treatment to prevent untoward outcome. 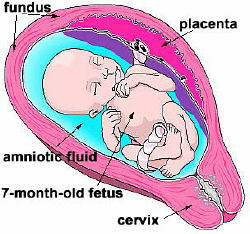 The Amniotic Fluid Index (AFI) is the usual manner of diagnosing polyhydramnios. AFI is the score expressed in centimeters. When performing an amniotic fluid index the abdomen is split into four quadrants by placing the intersection of two perpendicular lines at the belly button. The ultrasound beam is then moved from quadrant to quadrant and the maximum pocket of fluid is measured by ultrasound. An amniotic fluid index above the 95th percentile or greater than an absolute value of 25 is thought to be abnormal. Acute polyhydramnios is rare and starts at the 24th week of pregnancy. There is a sudden, rapid enlargement of the uterus so that the abdominal girth may increase by as much as 15 or even 30 cm in a few days. 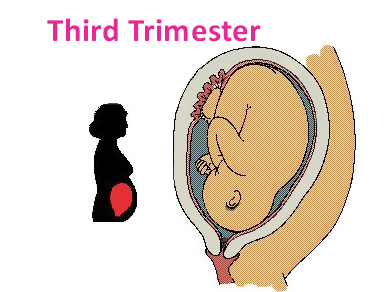 This is associated with a twin pregnancy and nearly always with a uniovular (identical) twin pregnancy. Rapid enlargement of the uterus may result in considerable abdominal discomfort or even pain. Should this happen, the doctor must be notified. The rapid uterine enlargement resulting from such a twin pregnancy usually continues for 7-10 days and then ceases. The pain and discomfort may be so severe that the woman has to be admitted to hospital for rest and special treatment. Premature labour may begin but the pregnancy usually continues satisfactorily and the twins, whose presence has been confirmed by ultrasonic scan, are delivered quite normally at the appropriate time. 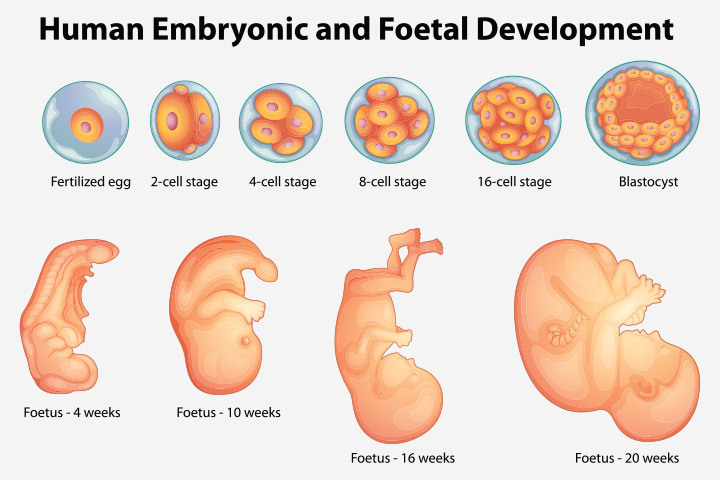 Chronic polyhydramnios is usually first noted at about the 30th week of pregnancy, when the uterus enlarges to a degree greater than is expected. This is caused by the grossly increased amount of fluid within the uterus. The normal girth of a pregnant woman at term is approximately 100 cm but when polyhydramnios occurs the girth at 34 weeks may reach 100 cm, and at term may reach as much as 115 or 120 cm. Chronic polyhydramnios results in a slow enlargement of the uterus and is not associated with pain or discomfort until the uterus becomes so large that its size creates discomfort. The causes of polyhydramnios are due to either excessive production of fluid or inadequate removal or utilization of fluid. It is thought that diabetes is one of the major causes of increased production. This is thought to be possibly caused by the increased load of sugar seen in the fetus and increased fetal urination. Diabetic women who are carefully and rigidly controlled throughout their pregnancy have only a slightly increased incidence of polyhydramnios. 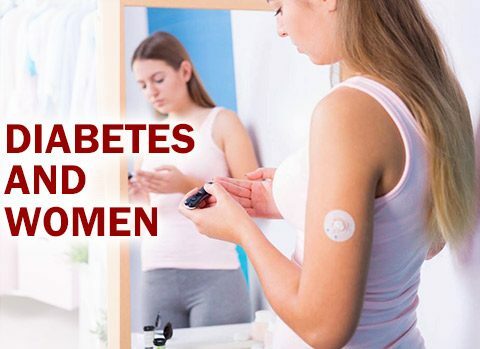 If diabetes is uncontrolled or poorly controlled in pregnancy, there is a much higher incidence of polyhydramnios and the excessive amount of amniotic fluid is a direct result of the unstable diabetes. Twin pregnancy. Acute polyhydramnios starts at 24 weeks in a twin pregnancy and chronic polyhydramnios usually develops at about the 28th or 30th week in a gradual manner. In actual fact twin pregnancies do not really suffer from polyhydramnios since there are two normal fetuses each with a normal amount of liquor, but the total amount of amniotic fluid is greater than normal and symptoms are exactly the same ‘as for an excessive amount of fluid in a single pregnancy. Preeclampsia also can cause this disorder. Polyhydramnios is one of the most important signs of some varieties of serious congenital abnormality. Up to 40 per cent of all single pregnancies which develop polyhydramnios do in fact harbour a baby suffering from a major degree of congenital abnormality. At its most serious, polyhydramnios can be caused by anencephaly, a neural tube defect that is usually fatal. According to the American College of Obstetrics and Gynecology, anencephaly accounts for 30 to 50 percent of all polyhydramnios diagnoses. Abnormalities of the central nervous system and of the spine of the baby may make its swallowing mechanism ineffective, so that excess liquor accumulates within the amniotic sac. Abnormalities of the gullet, esophagus or stomach may also result in defects of the swallowing mechanism and result in the formation of polyhydramnios. Polyhydramnios also can mean a baby has kidney, bowel or urinary tract problems, because the baby isn’t absorbing the amount of fluid it typically would. An over-abundance of amniotic fluid can be caused by the mother’s health, says Dr. Michael Brown, an obstetrician specializing in high-risk pregnancies at Via Christi’s Regional Medical Center in Wichita, Kan. “It can be a sign of gestational diabetes or pregnancy-induced hypertension,” Brown says. Pregnant women with polyhydramnios, says Dr. Brown, may have some abdominal pain from a uterus too full of fluid, and other pressure symptoms such as indigestion, hemorrhoids or extreme ankle and feet swelling. Treatment for this disorder falls into two different categories. Most commonly, however, treatment of this is not needed. 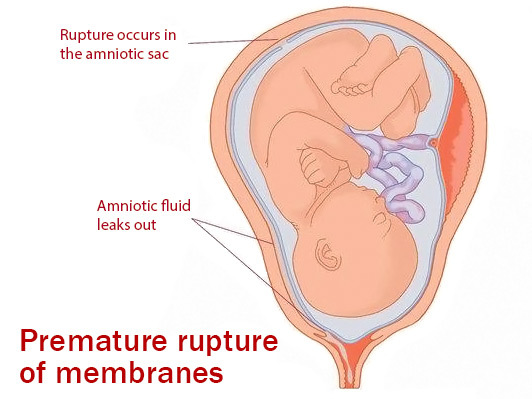 One utilized treatment is reduction of the amniotic fluid by amniocentesis. Utilizing this technique, large volumes (approximately one liter) may be removed. The problem with this is does involve a procedure that has a risk of complication. Additionally, this fluid often reaccumulates. Therefore, this option is often used only in people who have extreme discomfort and shortness of breath from the expanding fluid volume pushing up on their diaphragm making breathing uncomfortable. Another possible option is that of medications to decrease fluid production. This sometimes involves a medication called Indocin (Indometacin). Indocin decreases fluid production, but in long-term usage may cause changes in the fetal circulation through the heart. In rare instances, this may be irreversible. Additionally, this is not an option after approximately 32 weeks of gestation when utilization of Indocin is more likely to cause irreversible fetal circulation changes. The patient with polyhydramnios needs additional monitoring to ensure the well being of her unborn infant. This includes growth sonography every three to four weeks. This is done due to the possible increased risk of macrosomia (large infant) and risk of diabetes, or also to keep an eye on a possible expansion in the fluid volume further. Many cases of polyhydramnios are not complicated and are easily treated as long as pregnancy is closely monitored. Twenty-three-year-old Crystal Porter’s first pregnancy was a memorable one. By her third trimester, it was not unusual for Porter to gain 10 pounds, lose 8 the next day, and then gain 5 pounds back again. But for Porter, it wasn’t a battle with poor eating habits that caused the fluctuations. Her pregnancy was marked by polyhydramnios. While most women measure at an Amniotic Fluid Index of 11 around 7 months of pregnancy, Porter measured 35. “My weight gains and losses were directly related to the fluid,” she says. Although the problem turned out to be little more than a nuisance for Porter, there was initial concern about the baby’s health. For Porter, the diagnosis meant continuing a healthy diet and agreeing to close monitoring by her obstetrician. “I went to the doctor every three days and at alternating visits I would get a non-stress test (to count the baby’s movements) and then a sonogram to check the amniotic fluid levels,” she says. Like many women diagnosed with polyhydramnios during pregnancy, the amount of fluid made it difficult for Porter to feel her baby’s movements. It wasn’t often the baby came into contact with a uterine wall with enough force to be felt. There was simply too much fluid in which to float. Porter also was advised to limit her activities. “When nothing seeming to change for the better, I was told to ‘take it easy.’ I was not on complete bed rest, just advised to stay comfortable and do not overdo it,” she says. As Porter neared term, labor was induced. Despite the difficulties, Porter’s son was born at a healthy 8 pounds, 10.5 ounces. Today, Porter is expecting her second child, with no signs of polyhydramnios.